Vegetable Tanned Leather Foldable Card Holder with an inner snap closure and four card slots. Dust bag included. Width / 10.4 - 4"
This leather has been tanned slowly in wooden drums, while respecting the environment. Due to the natural tannins used, vegetable tanned products are unique and have their own life, they are not the same for their entire life, but they change, continuously, for the better. When exposed to sunlight and water it will grow darker over time and evolve with daily use. This patina effect is natural and is what gives this type of naked leather its unique quality and character. The attention you will give to the use and maintenance of your good will preserve its beauty. Every hide is unique. 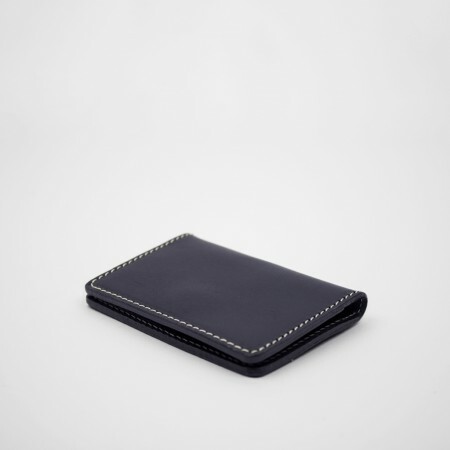 Tonal variations and marks are natural features of the leather and should not be considered faults. 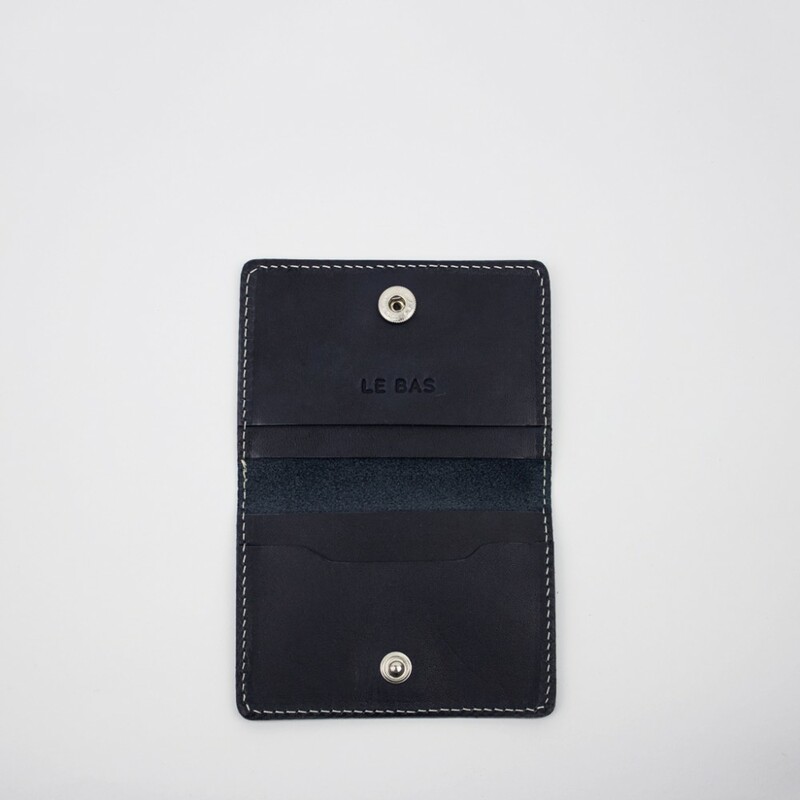 To preserve your LE_BAS bag we recommend: If the leather gets dirty wipe your bag with care using a soft and light-colored cloth. 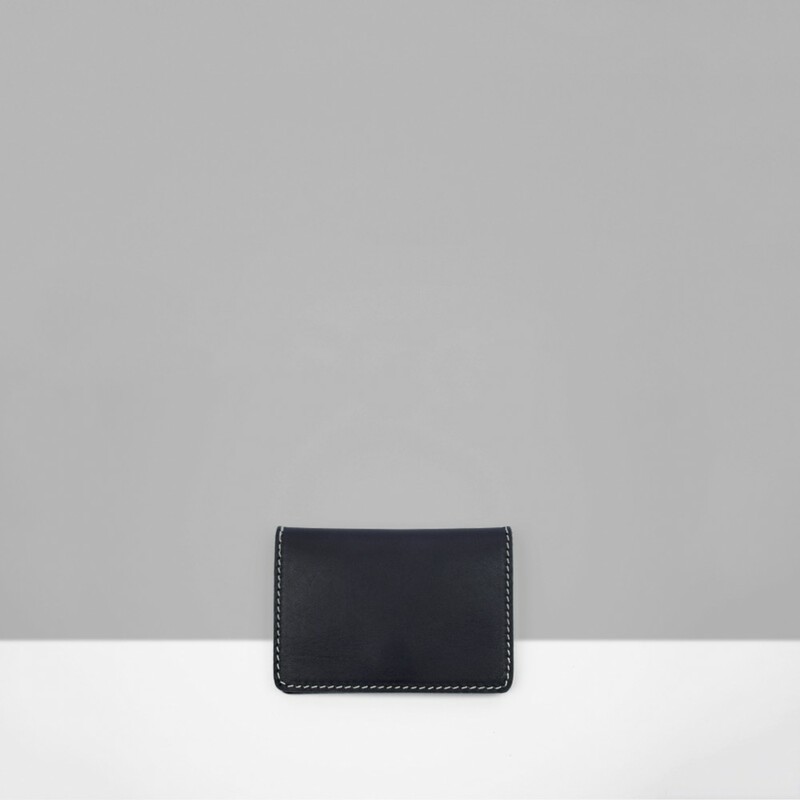 In order to protect your product when you are not using it, store it in the cotton protective pouch provided. Take care not to scratch it against abrasive structures. Avoid prolonged contact with any materials that may transfer their color pigments onto the leather. Keep away from humidity and protect it from direct sources of heat. For light-colors products avoid prolonged contact with other leathers or materials whose color could migrate onto the leather. FREE WORLDWIDE SHIPPING WITH SECURE TRACK AND TRACE NUMBER. Our orders are shipped from our studios in Ireland and Buenos Aires depending on proximity. Once the order has been placed it will be shipped in the next 24 hours and you will receive a confirmation email with your Track & Trace number and a link to the website where you can follow your item.